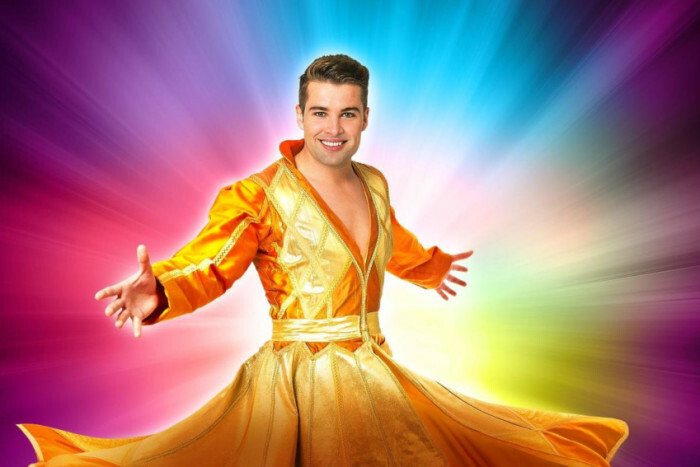 Joe McElderry returns to his native North East with a blockbuster production of Joseph and the Amazing Technicolor Dreamcoat. This show is a real Christmas treat for the region’s musical lovers. Hang on I hear you cry – the Arena? They have moved the stage half up the venue and the have surrounded the venue with black curtains that have done an effective job of absorbing the unwanted echo-effect that one might associate with the venue. A proper stage has been built in which the props, back drops and special effects can fly in just like a regular theatre too. In addition, the stage sticks out into the audience, which at times gives the show an intimate gig-like feel. In short, the show did not feel like any other I had done at the venue. Of course, this is Joseph which, at a normal theatre, feels like a concert rather than a musical. This was the show that propelled Andrew Lloyd Webber’s music into the public eye. Coupled with Tim Rice lyrics, they have taken a familiar Old Testament Bible story and made it highly entertaining. Under director Bill Kenwright, the show has a number of light hearted moments too. These ranged from inflatable sheep for Joseph and his brothers to look after through to the Pharaoh (Ben James-Ellis) appearing as the King himself – Elvis Presley. 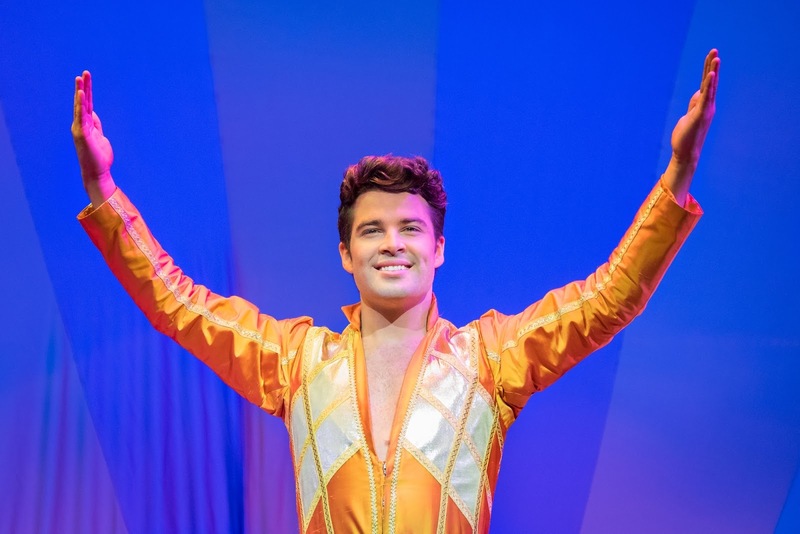 This is the second time that we have reviewed the show with South Shields’ Joe McElderry in the titular role and we were very impressed. Towards the end of the second act he showed the power and control during Close Every Door that explains why he has become such a popular singer. He has clearly grown into the role and confidently enjoys playing in front of his home crowd. The squeals of delight around me were palpable as he reprised Any Dream Will Do at the end of the show. But this is not a one man show and it relies on a strong ensemble to create the tale. 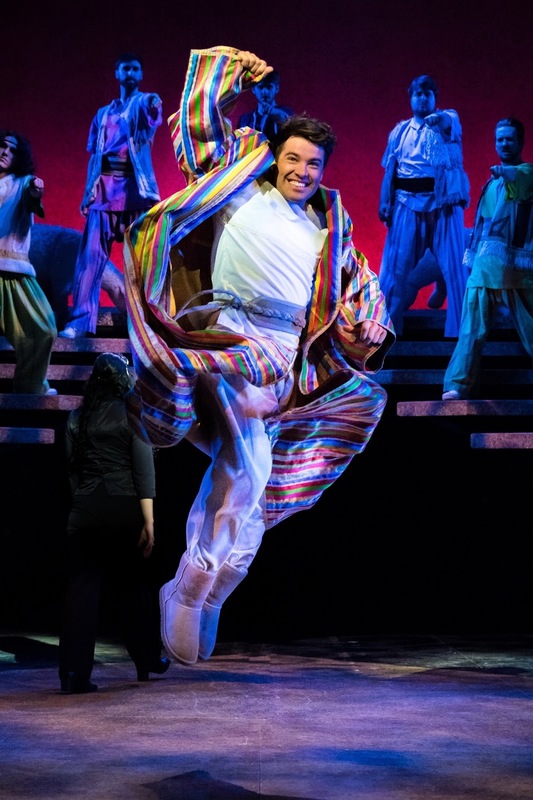 Narrator Trina Hill features heavily in the first act with tunes like Poor, Poor Joseph and her vocal talents compliments McElderry’s voice well. The brothers also feature heavily at the start and they carried the story well with a clever mix of exposition and humour. As already mentioned, the second act showstopper was the King himself as the Pharaoh reveals the nature of his dreams. Ben James-Ellis took centre stage and performed a very credible Elvis impression. Joseph and the Amazing Technicolor Dreamcoat looks good. Designer Sean Cavanagh has come up with a set that is able to allow the show to flow as well as hosting the young chorus who are on stage for the bulk of the show. Nick Richings lighting design adds a few tricks that propel the show from ordinary musical to a special seasonal treat. There is a live band, who are unfortunately out of sight, though we could hear musical director Danny Belton keeping a very tight ship. The sound was quite loud at times – making it more of a rock concert rather than theatrical experience to my ears. Joseph and the Amazing Technicolor Dreamcoat is a great ensemble show which both looks and sounds great. 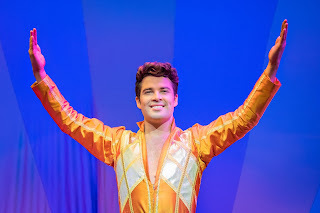 Joe McElderry has become one of the region’s great entertainers and he suits the titular role so well. Arguably Joe has become the best Joseph. This was a great show to see in the run up to Christmas. As a lady leaving behind me yelled “Make sure you give it 5 stars!” If only we gave star ratings!